Millions of videos are exchanged every day in a countless number of formats. As a result, your computer might not have the capabilities to play a video you want to watch. This is why there’s such a thing as video converter software. These programs can take videos of one format into a format that works for your computer. You could adapt your computer through upgrades and downloads, but you shouldn’t have to change how your system operates to play a video someone else created. Luckily, you’re able to change a video to meet the needs of your system. We have all had times where we couldn’t watch a video because it wasn’t in the right format. Video converter software can help you change your video from one format to another with the click of a button. Why Buy Video Converter Software? There are dozens of digital video file formats, and most media players are only compatible with certain types. And it all can be quite confusing, especially when you don’t know the difference between AVI and MOV. Video conversion software can help you not only get your files into the correct format, but it can also optimize your videos for whatever device or player you happen to own. The best video converter software applications have the ability to modify any video on your computer into whatever format you need. All the programs in our lineup convert your videos to the most commonly used formats (AVI, FLV, WMV, MOV, MP4 and MKV), which cover the vast majority of conversions you’ll perform. The best video file converters though also offer a selection lesser-used formats such as DivX, OGV and WebM. These extra choices are useful as they allow you to convert videos for specialized hardware and software. However, the more obscure the format, the less important it is to the overall program. You can watch videos on multiple devices these days. The best video converter applications have a full library of preprogrammed optimization profiles that tailor your conversion for whatever device you happen to own: smartphones, tablets, gaming systems, set-top boxes, televisions and more. Some programs’ libraries contain just a handful of profiles while others have upwards of 400. The more choices you have, the higher the likelihood that the program you choose will have an optimization profile for your specific device. Sometimes you don’t want to convert an entire video. The best video format converters offer a basic array of video-editing features that allow you trim, crop and adjust the picture and audio values of your footage. These basic video editing tools give you exactly what you need so you get the most out of a video conversion. We have conducted some tests and confirmed with most of all video converters and chosen Pavtube Video Converter, AVS Video Converter, Wondershare video Converter, Aimersoft Video Converter Ultimate, Soft4Boost Video Converter, Xilisoft Video Converter Ultimate and Faasoft Video Converter to final round. Soft4Boost Video Converter is by far the best Video Converter out there right now. It is super easy to use, supports most of all known formats and has got many other features. When it comes to finding the best video converter, it can seem difficult at first because there are so many on the market today. Fortunately, you can choose a good video converter from among the ten best that are available. The first five are listed in alphabetical order as they offer superior functions as compared to the final five on the list. 1. Pavtube Video Converter: As the old famous video studio on the market, Pavtube studio has a good reputation among our users’ hearts. It’s an all-in-one media conversion program that can almost handle all videos nicely here. With Pavtube Video Converter, you’ll have free access to watching SD videos (e.g. YouTube FLV/F4V, MP4, AVI, MPG, WMV, etc), digital camcorder recordings (e.g. MXF, MTS AVCHD, MOV, MP4, MVI, etc), DVR videos (Tivo), audio files (e.g. MP3, MP2, WMA, FLAC) on devices such as Apple/Android/Windows series, media players, game consoles, etc. 2. AVS Video Converter: Rightfully celebrated for its versatility, simplicity of use and wide ranging formats, AVS Video Converter is ideal in terms of finding the best Windows video converter for your particular needs. It converts virtually every video and audio format, offers 84 separate video effects that range from pencil sketch to adding snow and many others. Plus, the software has a built-in DVD burner which is very nice and allows you to fully complete your editing work. And when you buy AVS converter, you get ALL their software in a bundle, for life! That includes a FREE video editing software as well. Now that’s the best deal in the video converter industry. Convert All Key Video Formats: Encode HD Video (inc. AVCHD, TS, TOD, AVI HD, M2TS, etc. ), AVI, MP4, WMV, Blu-ray, 3GP, DVD, VOB, MPEG, H.263/H.264 codecs, DVR-MS, MKV, FLV, etc. You can convert video for various devices. AVS Video Converter includes ready presets to convert video for iPhone, iPad, iPod Touch, Samsung, Android tablets, Sony PSP, Amazon Kindle, smartphones, portable media players, etc. Of all the advantages that the AVS Video Converter offers, perhaps the most important is its ability to handle so many different file types along with a powerful array of effects tools that can be used for both video and audio. This means that you can actually make changes before reaching the editing stage if you so desire which can save time and effort. If there is any downside to this particular converter, it is that it cannot convert 3D video files. However, this is a relatively small nit unless a considerable amount of your work relies on using 3D files for 2D conversions. 3. Wondershare Video Converter for PC and Mac: Wondershare has developed a very strong reputation with its PC and Mac video converter software package that offers a wide range of flexible options, it’s easy to learn and it can pull in (import) and convert virtually all types of video within minutes. The interface is simple and intuitive to use which means that you can start using it within minutes of installing the program on your computer. It cokes in two versions: one for Windows PCs and one for Mac computers. Arguably the biggest strength of this video converter program is the ability to handle virtually any file type which makes it perfect for editors who have to pull video from many different sources. It’s little wonder that this particular type of software is used in so many different video production companies as well as small, at-home type entrepreneurs in the video field. The downsides are very few for the Wondershare as it remains the best video converter products on the market today (2016). The batch video conversion feature of the Wondershare is very fast compared to other software systems which makes it a superb program that is used by many professional and amateur video editors around the world. Wondershare is also the developer of a newly acclaimed video editing software called Filmora – which resembles iMovie with its interface. So if you’re a beginner into making videos, you may wanna check Filmora. It also has pro features as Chroma Key (green screen), slow motion, cropping and other tools. As usual, all programs come with a 30 days money back guarantee so you have nothing to loose. 4. Aimersoft Video Converter: Here is a simple to learn, cheap video converter that has been recognized as one of the best, the Aimersoft Video Converter. One of its biggest assets is that you can select a file by device type, such as a particular smartphone for example, and convert it to what you need. Simple and easy to use, this is a remarkable video converter for a reasonable price. Perhaps its greatest strength is that the Aimersoft is so easy to learn and use which makes it a favorite of both professional and amateur video editors. The fact that it can also recognize and convert most video and audio formats is another plus. Overall, about the only weakness of this particular product is that it does omit a few video formats and it is not quite as strong overall as some of the other entries, but that is rather minor as it does offer a splendid array of editing and audio tools. For those who are just starting out, this is an excellent product which offers plenty of selection in terms of video formats. 5. ImTOO Video Converter: A very well designed software system for video conversion, the ImTOO Video Converter offers a number of excellent features starting with its substantial collection of input and output files along with many different editing tools. The ability to convert over 150 file types makes this one of the best in its field as you can even rip from DVDs as well. This is a great Mac video converter as you can select an output for your Apple device quickly and easily. If there is a particular aspect that truly sets this video converter apart, it is the ability to convert and extract audio files with ease. Plus, you can really control the bitrate as well as the frame rate and so much more. It’s little wonder that this particular program is so popular. If there is a disadvantage, it is that the ImTOO video converter does not help you merge files which mean that process will have to be accomplished in editing. Plus, the customer support could be a little better when it comes to answering questions. However, this is still a remarkable system that is one of the best video converter products you can find on the market today. Besides, Pavtube Video Converter Ultimate – Not like other Video Converter Software, Pavtube Video Converter Ultimate is designed for all media files: DVD, Blu-ray, 4K, 3D, SD, HD video files. It easily can decrypt DVD and shift format, meanwhile, it also can rip Blu-ray to hard disc and convert video to anoter format encoded in different video codec. Comparing with WinX DVD video software, Pavtube product also has an unique feature: Media Server, with which you can play your video directly on your iPhone and Android devices by scanning QR code and stream movies on TV by tapping into the IP address with remote control. 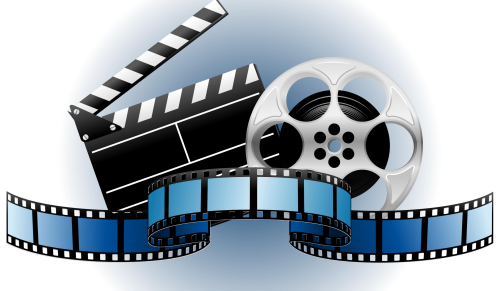 Tips: What to Look for in Video Converter Software. When you’re choosing video converter software, you must first determine what videos you have that need to be converted. Each program can only convert certain file format types into another set of video formats. You have to find the program that both supports the file format of the video you need to convert and the format you want to convert the video into. That might seem like a complex process when you look at it on the surface, but it’s far from that. The best video converter software needs to support videos that are in common and obscure file formats and allow you to convert them into a similar range of video file formats. The converted versions of your favorite videos must come out in good condition or better than what they were in their previous format. The video converter software you choose must give you the option to convert videos that are in common file formats like AVI, WMV and MPEG as well as less common file formats, such as IFO, 3GP and RM. The video converter software you choose must give you the ability to convert your favorite videos into common and obscure file formats and back again without losing any of the quality from the original video. A video converter program must have more features than the simple conversion process to give their users around for an extended period of time. Properly converting a video into the format you want it to be in can be a difficult process. An idea video converter has features that are easy enough to use that they ease any anxiety the process might create. The process should come with ample help and support options on the Internet and within the program to answer any questions the user might have about the conversion process. You don’t need to pull your hair out when you’re unable to open a video you really want to watch if you have good video converter software around. For those who require more flexible features on video editing, HD and 4K/UHD video conversion as well as much faster conversion and downloading speed, you’d better try Pavtube Video Converter – the best professional, cheapest and fastest video converter 2016 – 2017. Furthermore, you’ll be surprised with its built-in leading video reducer. Say, you can compress 4K Ultra HD video with 30X faster speed and high quality but smaller output video size. Do have a try . Over and above, it has other characteristics that will impress you!